Werner Müller products are characterized by innovation, reliability and diverse possible applications. The cold-welding system tailored for the specific field of application and is easy to handle. with closely-cut seam (double cut). and closely-cut seam (double cut). with gaps of 0.3 to 4 mm (repair works) and PVC-wallpapers. 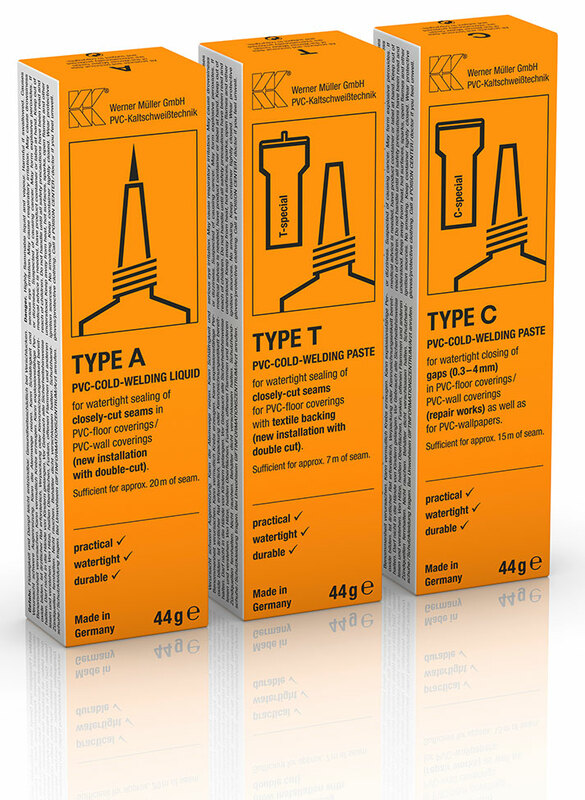 The 3 PVC-Cold-Welding Products are made of the same content but with different concentration, therefore the consistency varies from thin (TYPE A) to paste-like (TYPE T, TYPE C).